When it comes to human rights and religious freedom, North Korea is one of the most oppressive nations, a place where Christians are routinely imprisoned or even killed for their faith. But the believers just across the border in South Korea have not let the cruel government stop them from sharing the gospel with their brothers in the North. Announcer 1: Welcome to Bible Answers Live where you'll get honest answers to your Bible questions. Let's face it, it's not always easy to understand everything you read in the Bible. With 66 books and more than 700,000 words, the Bible can generate a lot of questions. If you'd like answers to your Bible questions, you've come to the right place. Now, here's your host Pastor Doug Batchelor, president, and speaker of Amazing Facts. Pastor Doug Batchelor: Hello friends. Would you like to hear an amazing fact? When it comes to human rights and religious freedom, North Korea is one of the most oppressive nations, a place where Christians are routinely imprisoned or even killed for their faith. But the believers just across the border in South Korea have not let the cruel government stop them from sharing the gospel with their brothers in the North. Depending on wind conditions, every week since 1991 a group of South Korean Christian commandos gather at the border of North Korea to release hundreds of balloons. In this program called Operation Dandelion, the red helium filled balloons printed with the entire gospel of Mark are carried by the breeze high over the heavily guarded communist border. After years of experience, they've learned they can even poke varying numbers of small pinholes in the balloons to help control how far they will float before they land. It's been reported thousands have come to Christ through reading this segments of scriptures scattered across the communist country via balloon. Perhaps, this is why Jesus compares the words of scripture to seeds. Stay with us friends we're going learn more as Amazing Facts brings you this edition of Bible Answers Live. Announcer 1: You're listening to Bible Answers Live, honest answers to your Bible questions. Our phone lines are now open. If you have a Bible related question, call us at 1-800-GOD-SAYS. That's 1-800-463-7297. Let's get to our first Bible question with Pastor Doug Batchelor. Pastor Doug: We'll be heading to the phones here in just a moment. Want to let you know we do have phone lines open, and that number if you want to call in with your Bible question, 800-GOD-SAYS, 800-463-7297. Welcome friends to another edition of Bible Answers Live. My name is Doug Batchelor. Pastor Jean Ross is coming back from a speaking appointment in Maryland, and he'll be back in his saddle next week. But before we go to our phones for tonight and the Bible questions, let's pray together. Father in Heaven we just want to thank you for your blessings. We thank you, Lord, for the opportunity and even this medium of studying the Bible and sharing the word with friends and brothers and sisters in the Lord around the country and the world. Bless this broadcast Lord to your glory and to the honor of your name, and we pray in that name of your son Jesus. Amen. Well, friends, I was interested to read the amazing fact about the Christians in South Korea that are looking for ways to share the Gospel. Not only do they send balloons where the entire gospel of Mark is printed in Korean on the outside of the balloon; they're easy to spot this balloons. I think they release them at night. Karen and I a few years ago were at the border, the demilitarized zone there, where you got no man's land between the North and the South, and they were just looking for a way to get the gospel into that country where it's forbidden. Not only do they have balloons that carry the gospel printed on the balloon, but every now and then, they'll have these extra large balloons that will release at night, that will carry actual Bibles or Bible tracts across the border. It's very dangerous because when some of these North Korean people get these things and read them, they can be in a lot of trouble if they're found with this material, but what do you do? Jesus said, "Unless they have eternal life, they don't know the Gospel. They can't live forever". You need to take some risks. Jesus said that, "When you share the word, it's like scattering seed, and it will certainly bear a crop". He promises in Isaiah that, "His word will not return void but it will bring forth the purpose for which he has sent it". You can read the parable in Mathew chapter 13 verse 3 where Jesus compares the word of God to seeds being sown. That word will always bring a revival in somebody's life. Jesus said, "The words I speak, they are spirit and they are life." Do you like to know about how to experience that revival? We have a special book I wrote it's called 12 Steps to Revival. You read through this and you'll know what do I do to find that first love again? How can the word of God bring that new life into my heart? All you have to do is call and we will send you 12 Steps to Revival. It's free. The number, 800-835-6747. Again, call 800-835-6747 to get your free copy of 12 Steps to Revival. If you have a Bible question, 800-463-7297 brings you to our studio. With that, we're going to go to our first caller for tonight. We're talking to Juan in Columbus, Ohio. Welcome, Juan. You're on the air. Juan: Hi, Pastor. How are you doing? Pastor Doug: Good. Thank you for calling in. Juan: All right. I have a question about Leviticus 17:14. Recently, I donated blood, and someone from my church said that that was bad. This is the verse that they used to tell me that I shouldn't donate blood. Pastor Doug: I'll read that for our friends that are listening. It says in Leviticus 17:14, "For it is the life of all flesh; the blood of it, for the life thereof: I said unto the children of Israel, you shall eat the blood of no manner of beast or flesh. For the life of all flesh is in the blood thereof, whoever eats it shall be cut off". Pastor Doug: -Yes. If a person is taking blood and it's usually they give you the same blood type, it's because a person is going to die unless they get that. These laws are principally health laws. God does not want us eating blood because it is true: disease can be transferred from animal to animal through the blood. You've probably heard about different cultures where they eat blood sausage, and they eat blood. Even a lot of our meat sold in markets still has the blood in it. It's not kosher in the ways it's prepared. I believe that it's a stretch. I know my friends, the Jehovah Witnesses, are thinking that it's a sin if someone gets a blood transfusion. If a person is going to die, if they don't get a blood transfusion and they're getting the same blood type, you're not getting the blood of animals. You're getting the blood of another human with the same type. I don't see that as a violation of this command. You're not eating blood. These are dietary issues. Juan: That's what I thought. I read that verse, and that verse was not speaking to me that donating blood was bad. It just wasn't doing it for me. Pastor Doug: I think you're going to be blessed for sharing blood. Jesus, by the way, gave the human race a blood transfusion. It's interesting that one of the last things that happens on the cross is that they gave Jesus sour wine. The first miracle of Christ he gives fresh wine. Jesus, basically, the wine he said, "Drink this grape juice. It's a symbol of my blood". Christ in pouring out his blood for the sins of the world is something like given us a transfusion of new life. We received his new life into us, so drinking that grape juice is a symbol of that. Hey, I appreciate that. By the way Juan, we do have a book that talks a little bit about some of these dietary laws, it's called God's Free Health Plan. If you would like a copy of the Bible's secret to a long and abundant lifecall 800-835-6747. We'll send it to you free. God's Free Health Plan is the name of that study. With that, we're going to Don who's calling from, what is it Brandon, Florida Don?Don you're on the air. Are you there? Don: I'd like to know is there any verses in the Bible that refer to Jesus as God's son before he was born on the earth? Don: I just want to know because I know there are certain Christian groups that believe that Jesus was a created being because like verses John 3:16, where he's referred to as the begotten of the Father. I just wondering how to explain that. Pastor Doug: I've heard that before. Of course, when it says that Jesus is begotten it means the only time God was begotten as a human is in Christ. God the son was born or begotten as a human that happened at the incarnation with Mary. But he existed before that because Christ said, "Before Abraham was, I am". The Bible said, "All things that were made," and this is in the gospel of John Chapter 1, "All things that were made were made by Him". Now, if everything was made by Christ, and you read that in Hebrews, you read it in Colossians, if everything is made by Christ, then he couldn't have made himself. The Bible doesn't say everything but Jesus was made by Christ, it says all things that were made. Again, in Revelation, he's referred to as the Alpha and Omega, from everlasting to everlasting thou art God. You can read in Genesis when it says, "In the beginning, God created the heavens and the earth". Well, if Jesus is everlasting, he must be God. You see what I'm saying? Don: Yes. Thank you very much. It clears it up for me. I appreciate it. 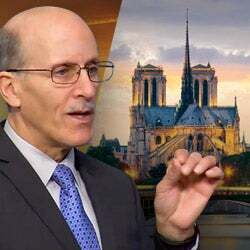 Pastor Doug: One of the other strong points is in concluding that thought that-- By the way, we'll send you a book On the Trinity that talks about the eternal nature of Jesus, and it's free. If you call 800-835-6747, ask for the book On the Trinity. I was going to just add that God is love. If God is always been love, you can't have love without another person to express that love, so Jesus must have always existed. But good question, I appreciate that Dan. Don't forget to request the free book On the Trinity, and it'll give you all those references there. With that, we're going to talk next to Ed, who's calling from, is it Carpoint, Michigan. Ed, you're on the air. Pastor Doug: Okay. Get real close to your phone, please. Ed: I got it on a speaker. Pastor Doug: Yes. That always sounds a little further away, but go ahead. 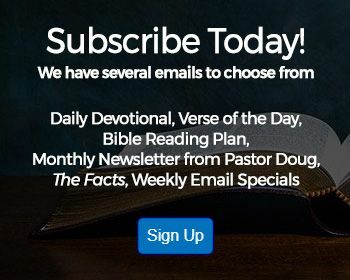 Pastor Doug: Why was Satan cast to earth? Ed: Why was there war heaven? But, yes I'm having a hard time trying to explain it because it's a hard thing to grasp. Would it broke out because there's other worlds? I don't know. That thought popped in to my mind. Pastor Doug: Well, let me take a stab at trying to answer what I think you're asking. Pastor Doug: In the Bible, it tells us that Satan was originally Lucifer. He was a beautiful angel. He was sinless. He had no problems. And then, as a result of that, he was filled with pride because of his power and his beauty. He ultimately wanted the position and the power that God possessed, and he was jealous. Until finally, he tempted a third of the angels. He convinced them to join him in this rebellion against God saying God's government was unfair. Satan was expelled from the paradise of God from heaven. He eventually found some creatures on this planet in our first parents, Adam and Eve, that listened to him instead of God. He setup his headquarters down here to continue his battle against God, and he fights it out in human lives. The reason that war that started in heaven is really going to be finished with the war of Armageddon here on earth, it's a battle between Christ and Satan. It started like, it says Michael and the dragon in Revelation 12. Now, Ed, we have a free study guide that talks about this battle in great detail. It's called Did God Create a Devil? If you call that phone number that we've been sharing tonight, 800-835-6747 and ask for the study guide Did God Create a Devil?, we will send you a free copy that it covers the exact things as you're asking in your question. Thank you very much. Appreciate your call, Ed. And with that, we're going to be talking next to Dylan, who's calling from Las Vegas, Nevada. Dylan, you're on the air. Dylan in Las Vegas. Pastor Doug: Hi. How you doing? Dylan: I'm good. I had a friend, and he was younger than me. I'm a boxer. Him and his brother, they showed me a lot of boxing, but they were younger than me. We all, later on, became professional, and he had committed suicide. I've read the scriptures about blasphemy of the Holy Spirit, but it doesn't really specifically say. I know in the Catholic religion, it's a mortal sin they say. But I'd like to feel and seem that, I know it's a selfish sin, but is that the mystery of faith that maybe it isn't? Like you still could go to heaven if you did that. Pastor Doug: Well, I think we need to be careful not to say that every person who commits suicide is automatically lost. Because I've been a pastor for over 30 years and have had to deal with this in some young people. Some not so young people I know have gone through terrible bounds of depression. Some of it may have been due to a chemical imbalance. Some people were beside themselves with physical suffering from cancer. They may have lived a wonderful Christian life, and then just in the last weeks of their life because they were overwhelmed with physical pain, they did something that was totally out of character. Is God going to judge them on the panorama of their life or on a mistake that was made in the last hours when they weren't clear? Sometimes they're under the effect of medication for their cancer. You know what I'm saying? I think we've got to be very careful not to say every suicide is automatically eternally lost. But at the same time, I run into young people, or they get discouraged, they'll say, "I'm just going to kill myself and because I pray first, Jesus will take me to heaven". That's also a mistake. Because if the last act of your life is self-murder, God says don't kill, then that's not good because we're supposed to have faith as Christians. We're supposed to have hope. And when a person kills himself, it's usually a sign that they've lost faith and hope. You see what I'm saying? So, there's a balance there, Samson. You know the story of Samson in the Bible, Dylan. He pushed down this temple, and it fell on him, and basically he killed himself. But he did it to deliver God's people from their enemies. Jesus even said, "No man takes my life. I lay my life down". That's a sacrifice which of course is different from a suicide. I don't agree with the teaching that says that it is the unpardonable sin. Pastor Doug: Well, bless your heart. Well, thank you Dylan. I have a book. We'll send you a free copy, and it's called Beyond Mercy: What is the Unpardonable Sin. And it talks specifically about this. You just call the number 800-835-6747 and ask for the book On the Unpardonable Sin and we'll send you that for free. And appreciate your calling tonight. With that, we're going to talk next to Denny who is calling from Cross Lake, Minnesota. Minnesota. Where's number 8? There it is. Denny, are you on the air? Pastor Doug: Hey, thank you for waiting. Denny: [laughs] Well, thank you for having me in your program, Pastor Doug. My question is in the Bible, if you are a saved, committed Christian person that's has the Holy Spirit in him, a real true Christian, is it possible to have demons? Pastor Doug: All right. Well, that's a good question. First of all, no man can serve two masters, but that doesn't mean a person can't experience a battle in their heart between two masters. There can be a battle in the person's heart between light and darkness. Peter the apostle was a follower of Jesus, but Satan was trying to get Peter. One time Jesus turns to Peter, and he says, "Get behind me Satan", because Peter was trying to encourage Jesus not to go to the cross. He said, "Get behind me Satan. You don't desire the things of God". And then Jesus told Peter, "Satan has desired to have you that he might sift you like wheat. But I've prayed for you that your faith does not fail and when you're converted strength in the brethren". Peter went through a real struggle the night he denied Christ. A believer can feel that battle inside, but a person cannot be spirit-filled and devil-filled at the same time. Does make sense? Denny: Yes. I believe in not rooting for two. Doug Batchelor: Yes. All of us feel the battle between light and darkness in our hearts, and that doesn't mean you're not a Christian. Even Jesus was tempted, right? Being tempted is not a sin. Christ was tempted. It's when you surrender to temptation that it turns into sin. I have a book. I'll be happy to send you a free copy that talks about 12 tips to resisting temptation. You can just ask for the book on tips for resisting temptation. We'll send you a free copy, Denny. It's 800-835-6747 to get your free copy of that book. By the way, that does open up another line. If someone wants to call with a Bible question, it's 800-GOD- SAYS, 800-463-7297. We thank you for your call, Denny. We're going to talk next to Johnnie calling from, is it Sevierville, Tennessee? Pastor Doug : Thank you for calling. Pastor Doug: How can we help tonight? Johnnie: I'm, sorry. I just wanted to know-- I'm driving right now, so I didn't have time to look up the verse. But on a previous show I was listening to, they mentioned asking God for forgiveness and repenting of your sin and confessing your sin, and God being just to forgive you. As from a point of view of a christian who's already been baptized and has maybe backslided, committed sin in his everyday life. That happens to a lot of people, and it happens to me quite often. I pray to God, I confess my sins to him. Sometimes I confess my sins to the people I have in my fellowship and my Bible study. I just wanted to know, do you think a person needs to have a system or a support group set up or a pastor or someone where they can confess all of their sins that they commit, or is confessing a sin to God enough? I was just asking for clarification on that. Pastor Doug: There's a verse in James, and you might be thinking of this, where it says in James 5:16, "Confess your faults to one another and pray for one another that you might be healed". Now, confessing your faults or talking about sins in a general sense, you shouldn't be confessing your sin to men because only God can forgive you. There's obviously private sin. If you offend your brother, you ought to confess that specifically to your brother or your sister. If you do something publicly that shames the church, you might stand up and testify and say, "I let everyone down". A public scandal might require a public confession, but otherwise, sin ought to be confessed privately to God. David when he sinned with Bathsheba, he prayed in Psalm 51, he says, "Against thee and thee only have I sinned and done this wrong in your sight". I do think it's important to have a support group and friends that you can really trust. You might say, brother, sister, I'm struggling. By the way, I think that men ought to have men they can confide in. Women ought to have women they can confide in, or sometimes unhealthy relationships develop. But you ought to have some friends you can confide in. Say like, "I'm struggling with something, and maybe you can pray for me". I don't think it's healthy for us to get into the nitty-gritty. Usually, we can be general and ask people to pray. 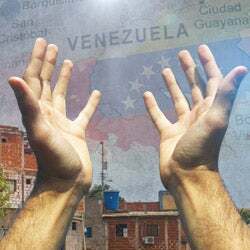 God knows what the problem is, and they can pray for us. Does that make sense Johnnie? Johnnie: I think so. That's about where I was at previously, but I appreciate how you're helping out and making sure that I wasn't . Pastor Doug: All right. Thank you so much for your call, and you drive safe. Johnnie: Thank you so much for your show. I really appreciate your ministry. Pastor Doug: God bless. With that, we're going to talk next to Ralph. Ralph is calling from New York, New York. Hi Ralph. You're on the air with Bible Answers Live. Ralph: Hi. Praise the Lord. Pastor Doug: And your question to me. Ralph: I want to ask you a question about marriage. Two born again Christian people they say they want to get married. They're not sure if they should go to City Hall and get married and get a marriage license, or just go to their pastor at a regular Christian church and have the pastor marry them. Which is acceptable before God? Pastor Doug: Of course, if you get married in a church, you'll still have a license that the pastor will sign and the license will be approved by City Hall. If you get married in the church, you can get the best of both worlds because marriage is also a covenant between two people in the sight of God. Of course, if you get married in City Hall, your marriage is still legal and binding, but if you have two believers, I would wonder why wouldn't you want to get married in the church. Then you can invite other friends to celebrate. Hopefully, it's a happy occasion, and you can invite other people to come and celebrate. Ralph: Even if you don't want to go to City Hall a get marriage license, does God accept two people get married in a Christian church, an anointed pastor of God? Does god accept that without a license? [crosstalk] have kids? Pastor Doug: That's a whole different question. You're asking then if two people want to just have a pastor conduct the service, but they're not going to do it with a legal license, I wouldn't recommend that. I don't think that's Biblical. Because the Bible says, "Obey the laws of the land". Marriage also is a covenant that's not only respected by the church in the presence of God, but it's registered in the country where you live because there are laws regarding the dissolution of marriage. If there are ever children involved, there are laws connected with the protection of the children and that covenant. I would always recommend that a Christian has a legal marriage as opposed to an illegal marriage. The common law marriage, I've never really heard a good arguments for doing that though I used to present some of them, but they still weren't good arguments. Hey, listening friend, we're going to take a brief break. Don't go anywhere. We'll be coming back with more Bible questions. Don't forget you can check us out on the internet by going to amazingfacts.org. We'll be back in two minutes. Announcer: Stay tuned. Bible Answers Live will return in a moment. Female Announcer: Life's a curious thing. Just when things seem under control, wham, you're hit with something new. Your marriage is good; suddenly it's on the brink of divorce. That job's great, and then it's gone and so is your life savings. You feel healthy, then your doctor gives the bad news. What's coming next? You could look to the stars, but they don't have the answers. But this does. The Prophesy Study Bible by Amazing Facts. This Bible's special. It's 27 personal study guides lead you on a life changing journey through God's word to discover real answers to life's questions, from health and relationships, to family and the future. The hope's in here. Announcer 2: Get your Amazing Facts Prophesy Study Bible today by calling 800-538-7275 or visit afbookstore.com. Can't get enough Amazing Facts Bible study, you don't have to wait until next week to enjoy more truth-filled programming. Visit the Amazing Facts media library at aftv.org. At aftv.org, you can enjoy video and audio presentations as well as printed material all free of charge, 24 hours a day, seven days a week right from your computer or mobile device. Visit aftv.org. Announcer 1: Every Bible question you have answered moves you one step closer to the fullness of God's will for your life. What are you waiting for? Get the answers you need for a fuller-richer, more confident life. You're listening to Bible Answers Live. This broadcast is a previously recorded episode. If you'd like answers to your Bible related questions on the air, please call us next Sunday between 7:00 PM and 8:00 PM Pacific Time. To receive any of the Bible resources mentioned in this evening's program call 800-835-6747. Once again, that's 800-835-6747. Now, let's join Pastor Doug Batchelor for more Bible Answers Live. Pastor Doug: Hello, friends. This is Pastor Doug Batchelor. We're going to go back to the phones in a minute. If you do have a Bible question then give us a call 800-463-7297. You probably heard us mention during the announcements over the break, we're having a special program that begins this Friday evening. It will broadcast live on AFTV that's Amazing Facts TV. You can even find it just by going to amazingfacts.org. It is called Mighty Men of God. If you're in the Greater Sacramento area you're welcome to join us in person, or watch anywhere in the world online. That's going to begin at 7:00 PM Friday evening. We'll also have programs on Saturday morning and Saturday afternoon. Mighty Men of God, it's specially for men. Tell your friends. You can go to the website and find out more about that. With that rumbling announcement, now I'm going to go to our next phone call. Talk to Bobby who's been waiting patiently, calling from Sacramento, California. Bobby, you're on the air. Pastor Doug: -you could eat whatever you want to eat, if you don't care [laughs]. But if you care, a person can eat Twinkies all day if they want. When you say, "Can't eat pork", you're talking about when the Bible talks about what's forbidden. Is that what you're asking? Pastor Doug: -we are not going to be chasing around chickens and cutting off their heads. In heaven, we'll be eating from the tree of life, and there'll be fruit and vineyards. We're not going to be eating animals. It was only after sin, man began to eat animals. And then God said, "If you're going to eat animals, you are not required to, but if you are going to eat them, don't eat the unclean animals". Certain animals were specified as unclean because they're scavengers. You are not supposed to eat dog. You're not supposed to eat skunks or cockroaches or pigs. Jews, Muslims and most--many I should say, Christians around the world know that because they read it in the Bible. A lot of Christians say, "Well, but those are old dietary laws, and if you cook it real good, it doesn't matter". But the problem with pork isn't just killing the Trichinella larvae; pork is actually the densest meat in sodium and fat. When you think about what pigs eat, they are literally scavengers. It's not a good meat. Even if you hear commercials that say, "It's the other white meat", and they try and make it sound elegant and light. Bobby: I hear that all the time. Pastor Doug: I used to feed pigs. I'll tell you, they' are really disgusting. Pastor Doug: It doesn't say, but yes there was a lot of wine he made, so they were hundreds anyway. Bobby: Can we drink wine, and have a good time and whatever? Pastor Doug: Well, the wine that Jesus made in the Bible-- You don't find the word grape juice anywhere in the Bible. What they did is they used one word for the juice of the grape. They didn't have wine as we call wine, wine now, and we call grape juice, grape juice. In Bible times, there was only one word for both. For instance, it says in Isaiah 65, "As the new wine is in the cluster". Well, if it is a new wine, it's unfermented. That means it's just been squeezed out of the grape, right? Pastor Doug: And even Jesus said, "You don't put new wine in old wineskins or it will ferment, then the wineskins burst". The wine that Jesus made at that wedding feast, many believe, was unfermented. They said, "You've saved the best for last", because you could get the bad wine all year long. You could get fermented wine all year long, but you could only get fresh wine during the harvest time. Pastor Doug: I've got a book. I'll be happy to send you a free copy. It's called The Alcohol and Christian. Bobby: Yes, I'd like to have that [chuckles]. Pastor Doug: All you got to do is call. We'll send you a copy. It’s got all the verses in the Bible that talk about alcohol and how should a Christian relate to that. I'm of the opinion--o ahead. I'm sorry. Pastor Doug: Yes, not always but many times-- When King David tried to get Uriah drunk, it was real wine. When Noah got drunk and he ran around naked, it was the alcoholic kind. And when Lot got drunk and he slept with his daughters, it was obviously the alcoholic kind-- or the alcohol kind I should say. But a number of times the Bible it uses the word wine, and it's just talking about grape juice. Bobby: Yes. I don't know if [crosstalk] grape juice [crosstalk]. Pastor Doug: -Christians shouldn't support that. People do get addicted. We know about alcoholics, so it is an addictive drug. Why Christians would support that? People don't get addicted to grape juice. They get addicted to the alcohol in the beer or the wine or the whiskey, whatever it is. It's a very addictive drug. I don't recommend any Christian drink any alcohol. I haven't had any for years. Bobby: I quit drinking alcohol in 1985 when I was a born again Christian. That's the best thing I've ever done. Pastor Doug: Well, you're better off. Let me send you that book that I was talking about. It's called Wine and Christian. All you got to do is call the number 800-835-6747, and we'll send you a free copy. Thank you very much, Bobby. With that, we're going to go next and talk to Dominic who's calling from Temple, Texas. Dominic you're on the air with Bible Answers Live. Dominic: Hey, how're you doing? I'm glad to be on air with you. Pastor Doug: Glad you're calling. Pastor Doug: You've got two questions. The first one you want me to answer about Jacob from Romans, right? Dominic: Yes, Sir. Romans 9:13. Pastor Doug: And then the other one about Moses. Pastor Doug: All right. Many people have thought in that verse here in Romans where he says, "Jacob I have loved and Esau I hated", it means that I just liked Jacob because of who he was and I disliked Esau because of who he was. Actually, Paul is quoting Malachi chapter one verse two where he says, "I have loved you but the Lord says, You say how do you love us. Is not Esau, Jacob's brother declares the Lord, yet you've loved Jacob". And here what he's saying is that he loved the people of Israel, and he was angry at the people of Edom, the children of Esau because of their sin. It wasn't that God was arbitrary was saying, "I like Israelites more than I like the Edomites". It was basically just saying that because of Jacob's faithfulness and because of Esau being carnal, their descendants were more faithful among Jacob, and they were more carnal among Edomites. And that's just God saying that he loves certain characteristics. God loves everybody, we know that. And your next question was about Moses. Well, the Bible is pretty clear that Moses was from the tribe of Levi. His father was Amram. His mother was Jochabed, and they were all from the tribe of Levi. The Levi was one of the sons of Jacob, so they were from Hebrew descent. They was [sic] not from Jewish descent because the Jews were the descendants of the tribe of Judah. Now, does that make sense, Dominic? Dominic: Okay. That's starting to clear out the picture a lot because what's being taught a lot out there now is they connected to they say Hebrews, Israelites, and they say that they are Jewish. That makes sense that-- you said that he was a Hebrew but he was not Jewish? Pastor Doug: That's right. The word Hebrew comes from an ancient word that means cross over. The Hebrews crossed over the Euphrates and went to Canaan. They called them the people that crossed over. And for instance Ishmael, the Arabs they are Hebrews, but they are not Jews. The Jews were descendants of the tribes of Judea that came back from the Babylonian captivity. Most of the other ten tribes were scattered among the Assryians, and they intermarried and disappeared. Anyway, I don’t know if that helps you a little bit with that question. The Bible says, "God has made of one blood all people. We are all brothers and sisters now in Christ". We appreciate your question, Dominic. With that, we're going to talk next to Allan who’s been waiting patiently. Allan from Atlanta, Georgia. You were on the air with Bible Answers Life. Allan: Good evening, pastor. I’m really interested in hearing your thoughts on this because I was listening a radio programs some months back. The pastor got into very long winded explanation about this. Try as I might I just cannot follow one reasoning. There' s an Old Testament prophesy, I am sure you are aware of, in Isaiah says, "Behold the virgin shall conceive and bear a son and shall call his name Emanuel". But of course the New Testament, we know our savior as Jesus. How do you reconcile the Old Testament and the New Testament prophesies in that regard as far as Old Testament saying Emmanuel but of course, in the New Testament the savior being born and named as Jesus? Pastor Doug: When you think about it Jesus has actually had many names. The names of Christ all means something. The word Emmanuel means God with us. Whenever you hear the word L in Hebrew, it means Elohim God, like Rachael, Daniel. Daniel means my judge is God. Elijah, Elisha, and Jesus, His real name in Hebrew is Yahshua or Joshua. Jesus is the a Greek pronunciation of that which means God, Jehovah is the savior. These are actually titles of Christ. But you get into Revelation and Jesus says, "I’m that I’m", and he says, "I am the Alpha and the Omega". I’m the morning star. I’m the lamb. I’m the door. I'm the water of life. Christ has so many titles, and one of the prominent titles is God will be with us. God became a man to dwell among us to save us. And that's why one of his names is Emmanuel. So, you're right. It isn’t the name that Mary gave him or that was given by the angels, but it is one of the titles of Christ that was foretold. And when you get to the New Testament, Mathew repeats this verse. Pastor Doug: Yes. Mathew actually quotes from Isaiah 14 and said, "As the prophet has said a virgin will conceive and bring forth a son". Allan: Okay, great. Thank you. I really appreciate that. 800-GOD-SAYS, 800-463-7297. Talking next to Stephen in Savannah, Georgia. Stephen, you're on the air with Bible Answers Life. Stephen: Yes, thank you. Glad to be here. Stephen: Pastor, I have a question about the New Jerusalem miles four square. Stephen: I figured in miles, 1500 miles squared which would be 375 times 4. I was just musing. It seems to me that would have to be like a cube or a pyramid. What say you? Pastor Doug: Well, that’s a good question because when I teach seminars and talk about the New Jerusalem and I've looked for good artist concepts, some of the artist draw it as a cube because it does say the base is square. It tells us the walls are 144 cubits. Some have wondered does mean the walls are 144 cubits wide or 144 cubits high. It doesn’t say in the original text. Some have the walls going around 144 cubits high, which is 218 feet. And then they have from there the city sloping up to a pinnacle like a pyramid. Others, I've actually seen them draw it where it's as the length and the breadth-- The Hebrew does say the length breadth and the height of the city are the same. Whenever you got something where the length, breadth and height are the same, it becomes a cube, so it is a mystery. Its big; we know that. Whether it’s going to be more cube shaped or pyramid shaped, it’s hard to say. Pastor Doug: The Babylonian kings, in Babylon, they built these pyramid that were more like zig arts.They had the step pyramids where they had paths going around them. I don’t think that God's basing his architecture off the Babylonian kings. Anyway, the base is square. It's about all we know. It’s not big; it’s ginormous. Which means there is room for us, right? Stephen: If you take a pyramid and you go to the top and push it straight down, it becomes a square. Stephen: You see. A lot of the esoteric and occult type symbolism is pyramid. Of course, that doesn’t surprises me because Satan had counterfeited the rainbow for others things. Pastor Doug: That’s right. They take divine symbols and they put some kind of cultish designs on it. I appreciate your call, Stephen. We have a lesson that talks about the city of God that actually has some of these artist concepts in it, very much like what you're talking about. If you want to see our lesson with illustrations of the city of God then we want you to send for our lesson talking about city in space or this heavenly space city, and we'll send it to you. That number 800-835-6747 will send you our lessons on the New Jerusalem, the city in space. We say that because it comes down out of heaven. Alright. Who is next? Honyah is that right? Line eight, Honyah calling from Toronto, Canada. Are you there Honyah? Pastor Doug: Hi, thank you for calling. Thanks for your patience. Honyah: I love you [laughs]. Pastor Doug: Well, just aware my wife's listening in, but thank you very much [laughs]. Honyah: Don’t worry, not that way, but I love speaking to your show. I'm so excited to be talking to you. Pastor Doug: Well, glad to meet you too. Honyah: I just got baptized two years ago which will be in October coming up. Honyah: Like I said to the lady, my problem is anger. Pastor Doug: Yes. You're struggling. You're wondering what the bible says about how to deal with anger? Pastor Doug: Well, the Bible tells us Christ with the Holy Spirit is offering us a peace that passes understanding. Typically, when we get angry, it's because our pride has been offended. When we have the mind of Christ and the spirit of Christ and when we are crucified with Christ-- it’s hard to hurt the dead person. When we are offended, it’s because the old nature is alive, and we become personally offended and selfishness and our pride is offended. The more we humble ourselves and ask for the mind and the spirit of Jesus, the easier it is to have peace so that we're not offended. Pastor Doug: We do have some lessons that talk about-- You know what? I've actually got a sermon where I talk about the anger. You can watch free on online. If you go to even YouTube and you just type in Doug Batchelor. I think it’s called The Age of rage. Pastor Doug: Yes, The Age of rage is a-- I know I did summon on that. I know the text is online, but I have a lot of scriptures and principles and even some funny illustrations in there that I think you will enjoy. You can Google that Doug Batchelor Age of rage. I've found find out some times when I want to find my own references [laughs] I just Google it now. It's almost quicker than anything else. Pastor Doug: But they don’t forget you can still find it on the Amazing Facts website as well. Pastor Doug: They struggle with that. Pastor Doug: Yes. We've got some great materials for you. Two things Honyah, one is we have a study guide that talks about the lost day of history. We'll send you that, and we have a brand new magazine that is really incredible dealing with the subject called The Rest of Your Life. It’s about the Sabbath, The Rest of Your Life. If you call our resource number 800-835-6747, we'll be sending you those, and then you can share one. If you like them, you can buy more, but we'll send you the first two for free and ask for those studies. Nice to meet you Honyah. We'll talk next with Paul who is calling from Royal Oak Michigan. Paul, you're on the air with Bible Answers Life. Paul: Pastor Doug, thank you so much. I want to, first of all, just real quick say that I've never heard your show before. I understand you're filling fro somebody, but I just want to say that you're really making me feel good about what is oftentimes great, murky, hard to internalize and understand stuff. You have a fascinating awareness of this, and it's great. Pastor Doug: Thank you. Actually, I'm not filling in. My co-host is missing, and we're here every week. We hope you keep us on your dial, Paul, and keep coming back. Paul: Yes. What I originally wanted to ask I want to ask in one second, but to follow up if I can just to understand better because a girl asked about anger. If someone does something more or less to steal from you-- You said pride is usually the root of anger. If somebody was to steal something from you, I'm just hypothesizing, is that somehow rooted differently? Pastor Doug: No. I'm glad you asked that because I didn't mean to lead people with the impression that all anger is because of selfishness. God can get angry, and he's certainly not selfish. The Bible speaks about of even Jesus getting angry and chasing the money changers out of the temple. There is a righteous indignation. Paul got angry when a sorcerer was trying to disrupt Paul's evangelism, and the guy was stricken with blindness. There's a righteous indignation where you're thinking about others. If you saw an old woman being mugged, you'd be angry. That would be a righteous form of indignation, or a child being abused, you'd be angry. That's appropriate. I'm talking about so often when we struggle with anger, typically, it's because we somehow have been offended. Yes, if someone steals from you. I know someone stole my car, and I was angry [chuckles]. Pastor Doug: That's all right. Paul: -because he screens the calls [laughs]. Even to the point of taking physical action: I was just talking to somebody earlier tonight about if you're attacked by somebody or whatever, the Bible doesn't imply that you're not supposed to fight back physically. I know Jesus said, "One cheek smack, offer the other". That's not what it's about right? Pastor Doug: No. I think Christ is just illustrating that rather than retaliating, we should offer the other cheek, and forgiveness is usually better. But obviously, if some stranger on the street were to come and assault me, I'd do all I could to defend myself. That's a natural self preservation I think God's built into everybody. What's the real question before we run out of time? Paul: Yes This is the question, and it was spun off of another question [laughs]. It's about temptation. It's about when temptation becomes sin. I never really thought about it. Jesus was tempted, but he didn't sin. Pastor Doug: -Let me jump here real quick because the clock is against us here. If a man, for instance, looks and notices there's a woman that is attractive or she's dressed in a provocative way, he can be aware of that. That doesn't mean it's a sin to notice that. Because you see things, they register. It's when you then begin to dwell upon it and embrace it, then it can start becoming a distraction and a sin. Obviously, you need to recognize a sin in order to resist it. It's when you embrace it and want it, then it becomes forbidden. Thank you for you call, Paul. I hope you give us another chance, and we hear again from you next week. Friends, we got another Amazing Fact coming in just a moment. Standby after these announcements. Announcer 1: Thank you for listening to today's broadcast. We hope you understand your Bible even better than before. Bible Answers Live is produced by Amazing Facts, a faith based ministry located in Sacramento, California. Announcer 2: Did you know that Noah was present at the birth of Abraham? Okay, maybe he wasn't in the room, but he was alive and probably telling stories about his floating zoo. From the creation of the world to the last day events of Revelation www.biblehistory.com is a free resource where you can explore major bible events and characters, enhance your knowledge of the bible and draw closer to God's word. Go deeper, visit the amazing bible timeline at www.biblehistory.com. Announcer 1: If you'd like to enhance your study of God's word, visit our website at www.amazingfacts.org and signup for our free Bible study course. 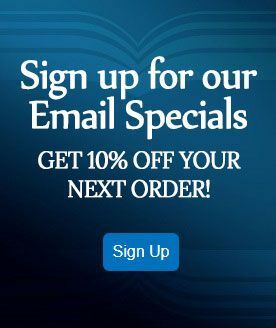 Make sure to check out our online bookstore at www.afbookstore.com which offers thousands of inspiring books, DVDs and more to help you get the most out of God's word. To take advantage of the offers you've heard on this broadcast call us at 800-835-6747 or visit our website at www.amazingfacts.org. Did you enjoy this program? Make sure to tell your family and friends. Tune in next time for more Bible Answers Live. Honest and accurate answers to your bible questions. Speaker 3: Have you ever heard a mouse howl like a wolf? What would you expect would happen when a creature changes its destiny from the hapless prey to mighty predator? From the outside, they look very much just like an oversized field mouse: cute brown fur, wide on the under belly, nice little beady eyes, but that's where the similarity stop. Grasshopper mice are very unusual making them the objects of great interest for animal researchers. These furry little creatures are found in the harsh deserts of North America. They're very territorial in nature, and they will monopolize and fend off 25 acres. They don't build their own homes but confiscate the burrows and the homes of other creatures. They're not called grasshopper mice because they hop around, but it's because they eat a lot of grasshoppers. In fact, scientists have discovered grasshopper mice are the only mice that are purely carnivorous. They hunt much like cats or weasels stalking their prey in a predatory fashion. When they pounce, they are ferocious. Sometimes even taking on snakes and scorpions and centipedes. The grasshopper mouse is not the only member of creation that can survive encounters with venomous predators. In Luke 10:19, it says, "Behold I will give you authority to trample on serpents and scorpions and overall the power of the enemy. Nothing will by any means hurt you". We don't have to be the biggest and the strongest to defeat our enemy and let out that victory roar. When God called David to be king, no human would have guessed that he had it in him. He was young and insignificant. From the outside he looked like there was no greatness in him. But when God looked at his heart, he saw courage, humility, compassion and love. David wasn't perfect and he made mistakes, but through God's power he was able to conquer giants. Friend, God does not intend that you live out the rest of your life cowering and trembling like a little field mouse. If God can take the grasshopper mouse and give him courage so that he fights snakes and scorpions and centipedes; If God can put in the heart of David the courage to fight giants like Goliath, then he can give you that same courage. The scripture say, "God has not given you the spirit of fear but of power, love and a sound mind". You can have that peace in your heart when you invite the Prince of Peace in your heart. Why don't you do that right now? For over 50 years, Amazing Facts has shared the wonderful news of salvation and provided millions of Bible resources to people all over the world. We built churches in India, proclaimed God's word in China and have sent free bible studies around the globe. Today's program and free resources were made possible by our ministry partners, caring individuals like you. If you've been blessed by Amazing Facts, would you please consider partnering with us to reach others with the Bible truth. Your financial support today will help keep programs like this on the air, so the blessings you've received can be shared with others. 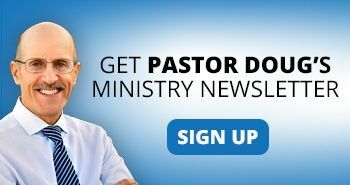 To find out more about becoming a ministry partner, please visit our website at www.amazingfacts.org. Is the prophecy in Matthew 24:29 representative or literal?